Home » Blog » A quality window replacement from Belk Builders can make spring cleaning easier for years to come! Spring cleaning your windows is an annual ritual, but for some customers with broken down, old windows it’s a veritable headache and hassle. They are a pain to keep clean and make the necessary ritual of window cleaning a downright aggravation. Timeworn windows add zero value to your curb appeal and lower the value of your home in a significant way. 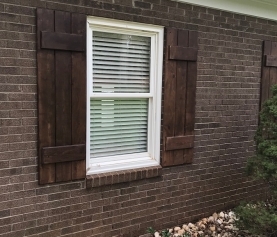 Not only are you throwing away heating and cooling dollars literally out the window, ugly old windows also do nothing for the aesthetic of your home. 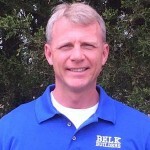 Belk Builders puts the WOW in your windows. Not only are they super energy-efficient, but we can give you any look and feel you want that will match the style of your home in an elegant and pleasing manner. It doesn’t matter if you’ve got a home with modern flair or old world appeal, we can get you a window that works with the look and feel of your house. 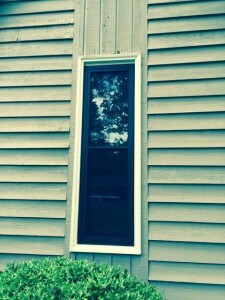 Two-toned windows by Simonton used in a recent window replacement by Belk Builders. 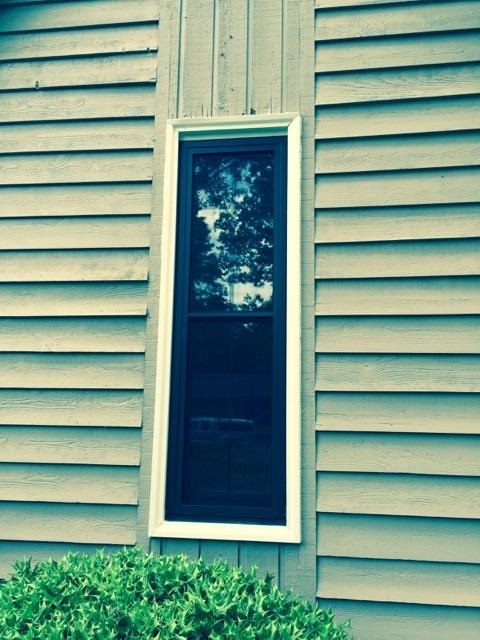 With many different types of window replacements available to our customers, we can customize each of these with regard to color, shape and style. If you’ve got an arched or rounded window we can easily tackle a replacement without a hitch. If you’d like a serious level of insulation to keep out noise or ensure cold or hot weather stays at bay, we can offer you double-paned options with a coated glass and argon gas that will amp up the insulation value in a serious way. We partner with some of the biggest names in window manufacturing, such as Simonton, Pella, Andersen and Jeld-Wen that have a proven track record of quality and they stand behind their products. If you’d like to go with a bay or bow window to let in more light or add some extra volume into your home, we can certainly help you broaden the viewing area inside your home for a feel that brings the outside in. Those interested in indoor gardening will be jazzed by our bumped out garden windows that give you a larger window sill option for plants and indoor herbs. The sun pours in and it gives you plenty of options for growing most anything you can put your mind to. Not only do our replacement windows look great and instantly add a fresh look to your home, but they are super easy to clean thanks to an easy tilting system that makes them simple to wash from the inside. No more having to remove an entire window and risk breaking it our having to dangerously get up on a tall ladder to clean the exterior of your windows. You can safely stand inside and pull the sash in for easy cleaning without the headache of the past. 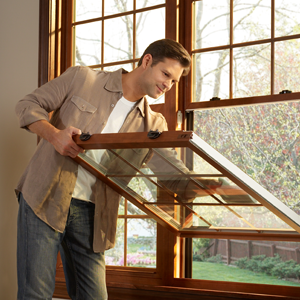 Make spring cleaning a breeze thanks to our replacement window options! 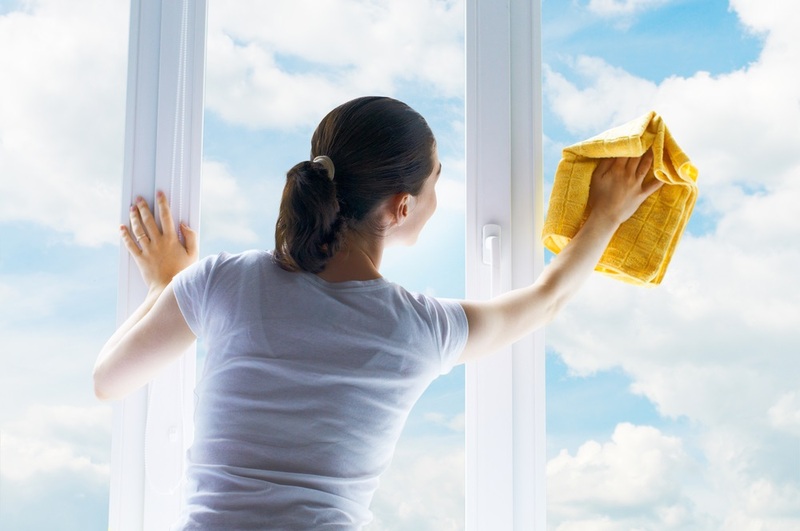 Let us replace your window and give you an upgrade for a whole new look and make spring cleaning hassle-free! Contact us at (704) 400-4710 or belkbuilders.com. You can also visit our website today to learn more, or schedule a free estimate.